In February I spent almost two weeks in Utah. I attended two conferences, spent time with my girls and other family and ate. One of my favorite things to do with my girls is to try new restaurants and visit some of my favorites. I spent a lot time in Salt Lake City this trip because of my conferences so I got to check out some new SLC eateries. 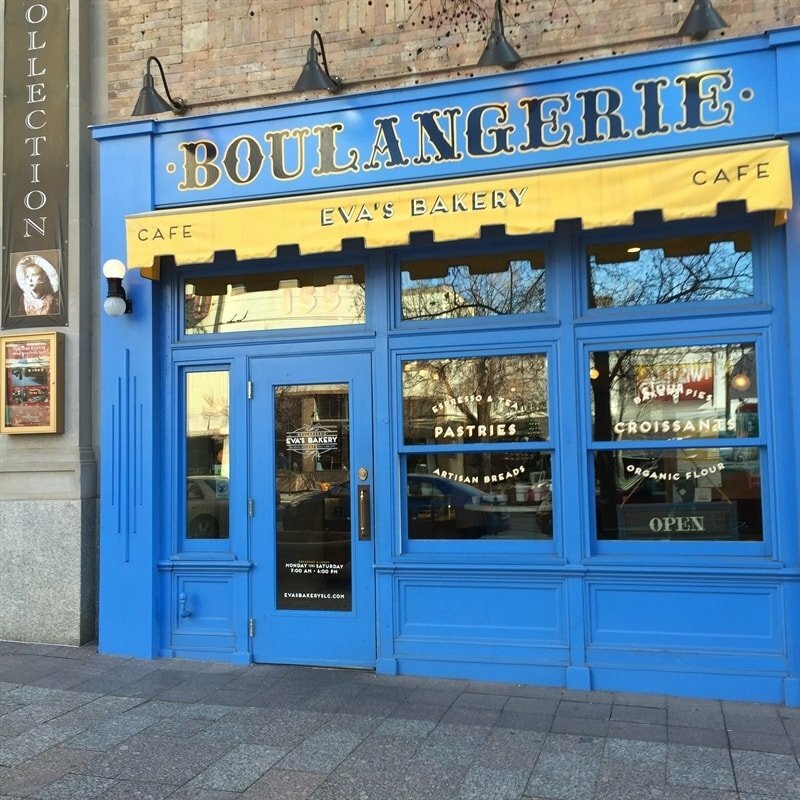 I have driven by Eva’s Bakery in downtown Salt Lake many times. Each time I thought, it looks just like Paris! I knew I needed to make a visit. I enjoyed lunch there one day with a friend and my sister in law. It made me feel like I was right back in Paris! 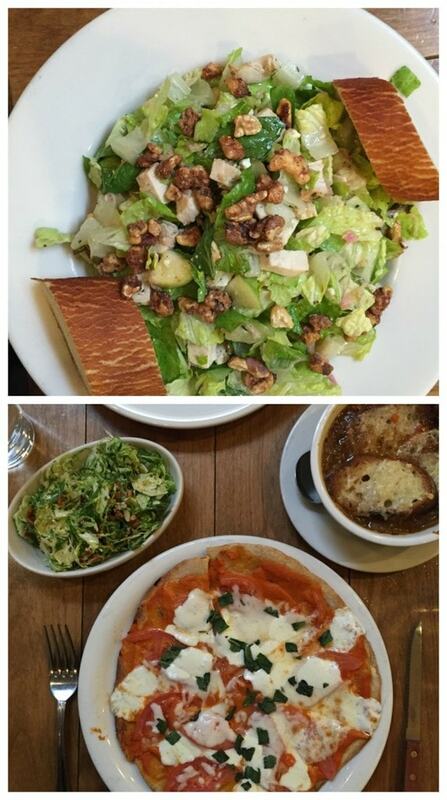 We enjoyed a lunch of French Onion Soup, Margarita Flatbread, Pear & Arugula Salad and an amazing Shaved Brussels Sprout Salad. All was delicious! Thanks to Yelp we discovered the restaurant From Scratch which was walking distance from the Convention Center where we were meeting. 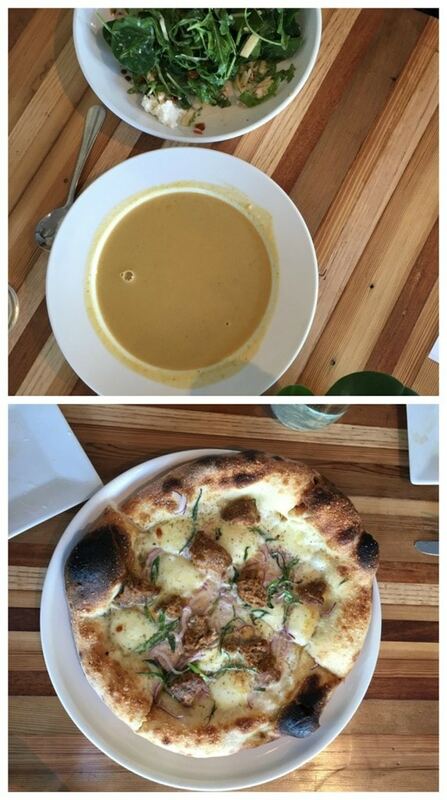 We enjoyed a delicious Butternut Squash Soup, Honey Apple Salad and a Fennel Sausage pizza with Creme Fraiche, Red & Green Onion, Mozzarella . So yummy! 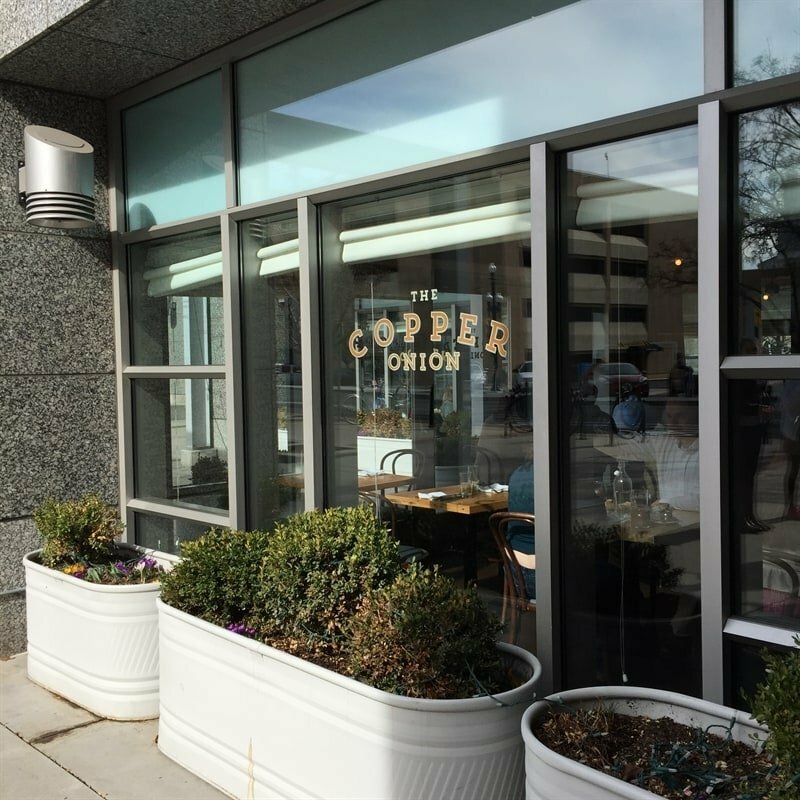 Lucky for me we were in SLC three days so we got to check out The Copper Onion for lunch one day too. Also located downtown, I had heard lots of good reports about this restaurant so was anxious to try it out. This place was busy. I always take that as a good sign. We had lunch but I would definitely like to go back and try breakfast some time. For lunch we had a yummy Copper Onion burger (without a bun for my gluten free friend) with some yummy steak fries along with a French Dip sandwich. 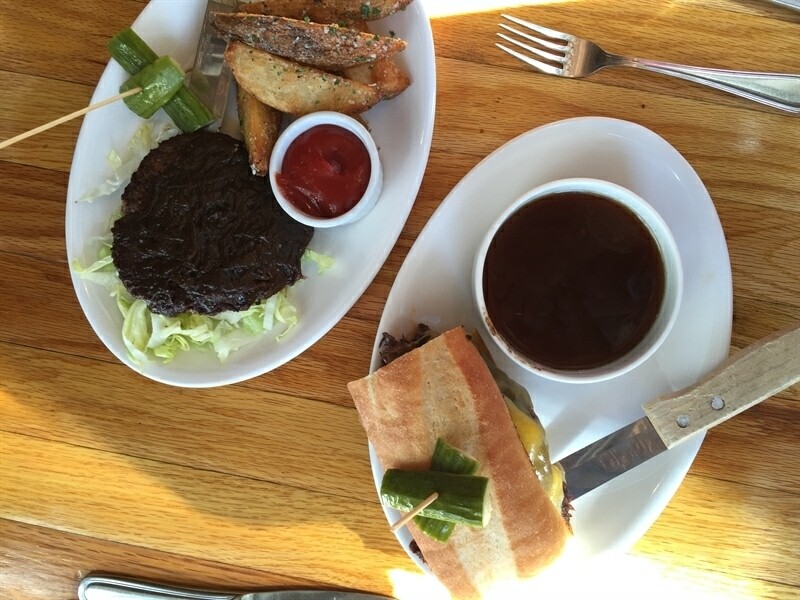 Both were made with delicious Niman Ranch Beef. I was totally drooling over my neighbor’s french toast! After our conference that weekend I headed south to Provo and enjoyed some yummy food there. 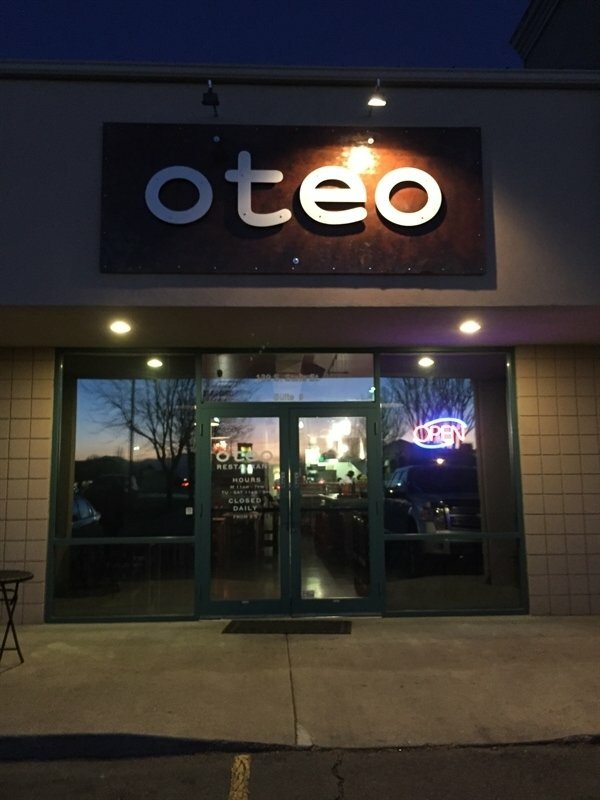 One of my favorite Provo restaurants is Oteo. It is a must for every trip to Utah. It is actually located in Lindon, in an ugly strip mall but there is nothing ugly about Oteo. One of my most favorite things ever is their Queso Fundido. I dream about this stuff!! I could just eat this and be happy forever. But you can’t go to Oteo and not have their tacos. 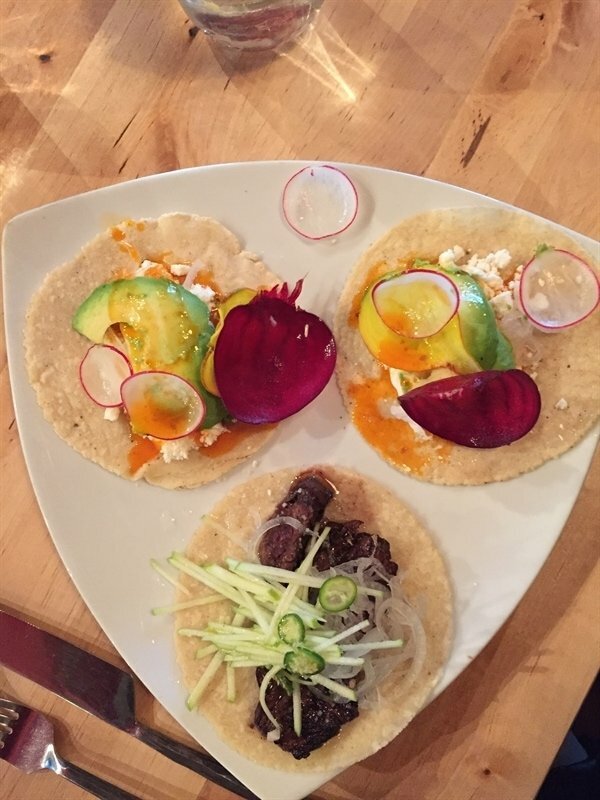 I am a big fan of the Hanger Beef but my girls adore their Avocado Tacos. If you go on Tuesday (like we did), it is Taco Tuesday and you get three tacos for the price of two! Next up on my Utah food adventures was Blue Lemon. There is one in downtown SLC but my girls and I went to the one in Highland for dinner one night. Not pictured are the yummy sweet potato fries we also ordered! I love the easy, order at the counter casualness of Blue Lemon but the delicious, beautiful presentation of food you get just like at a sit down and order restaurant. Down in Provo I met Tessa one day for lunch. 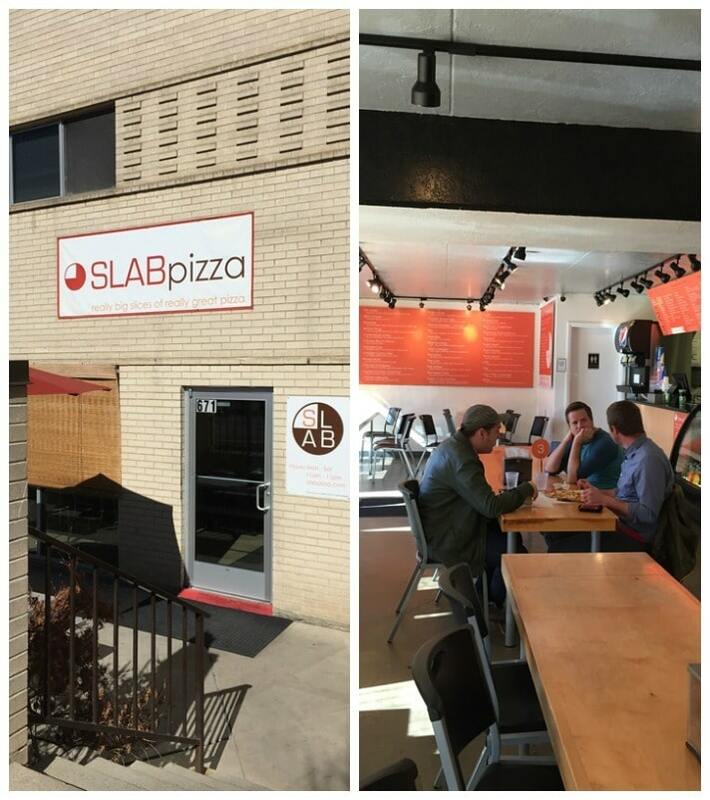 She works on BYU campus so we needed to go somewhere close so we went to one of our favorite pizza places, Slab. It is just south of campus. It is appropriately named because you get a SLAB of pizza. It’s a fourth of a pizza! 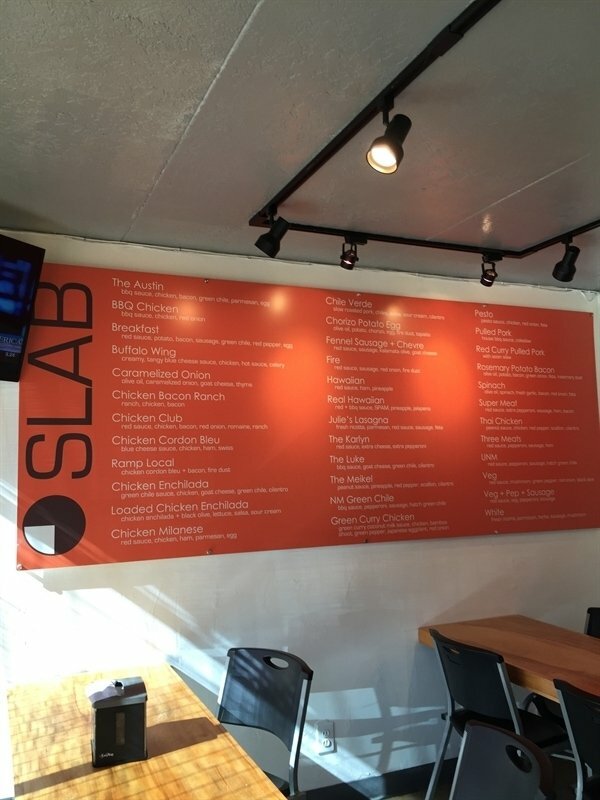 One of the fun things about Slab is all the great combinations of pizza they have. Of course you can make your own combo too. 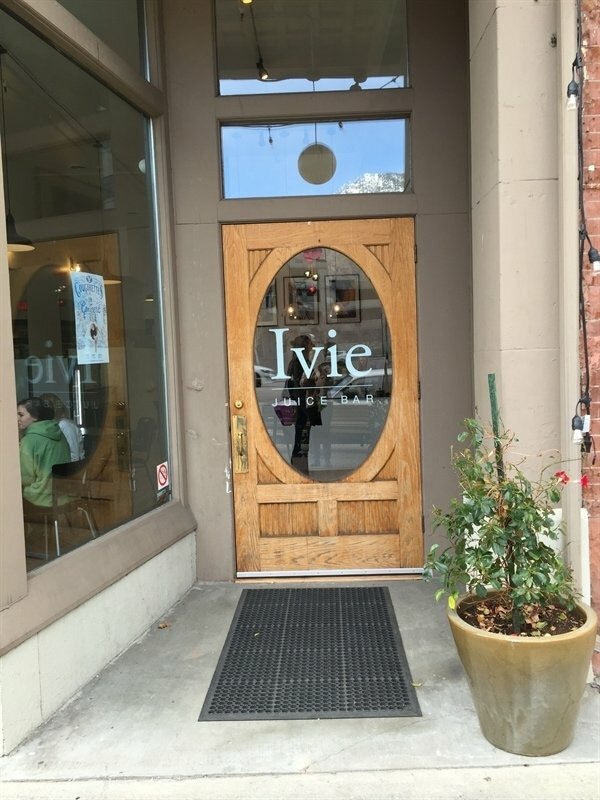 We also checked out a new place in downtown Provo, Ivie Juice Bar, located on University. It is a smoothie and juice bar. 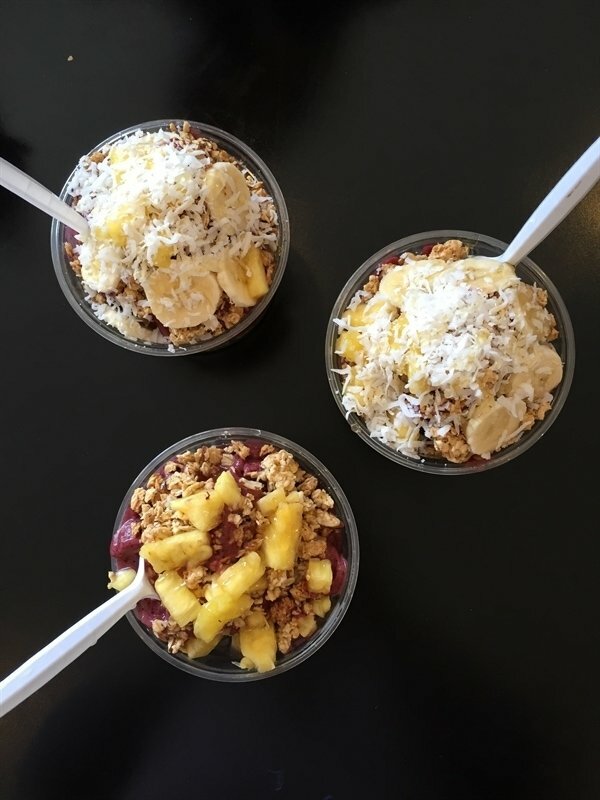 All three of us ordered their yummy Acai Bowls which is basically a really thick smoothie in a bowl topped with fruit, toasted coconut and drizzled with delicious honey. 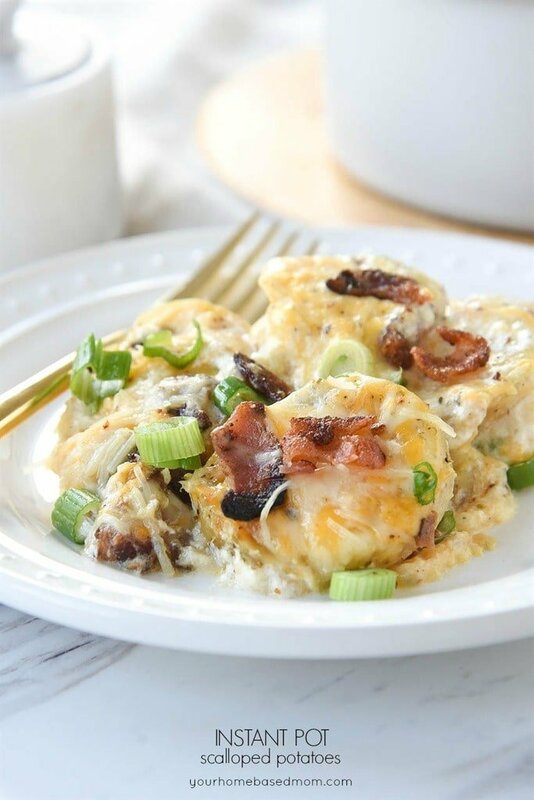 So yummy and healthy! The best part was I got to enjoy it with these two lovelies! Can’t wait to go back and enjoy it again! 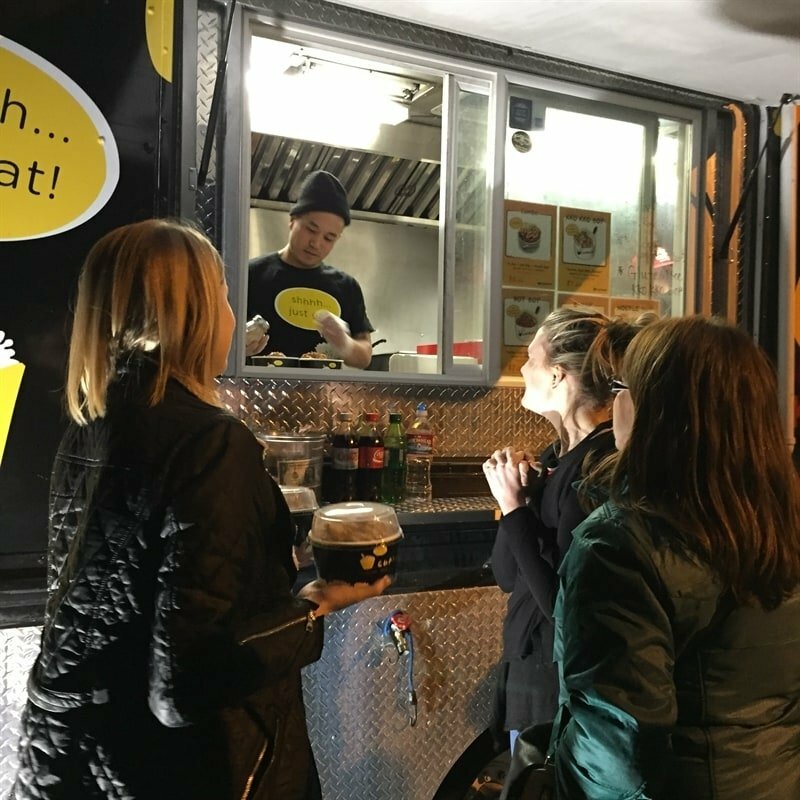 Provo and Salt Lake have both discovered the wonderfulness of food carts just like we have here in Portland. 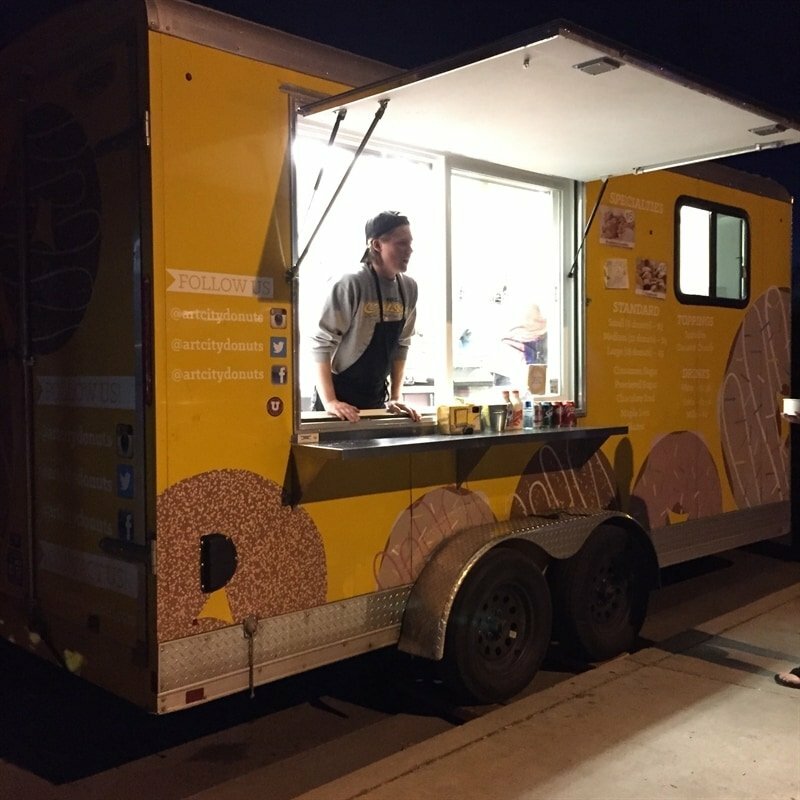 They may not have the hundreds and hundreds of food carts like we do but they have some fun food cart roundups during the week. One night it was in Lehi (where Cali teaches) so we hit it for dinner. The girls insisted we eat at Cup Bob, their favorite! 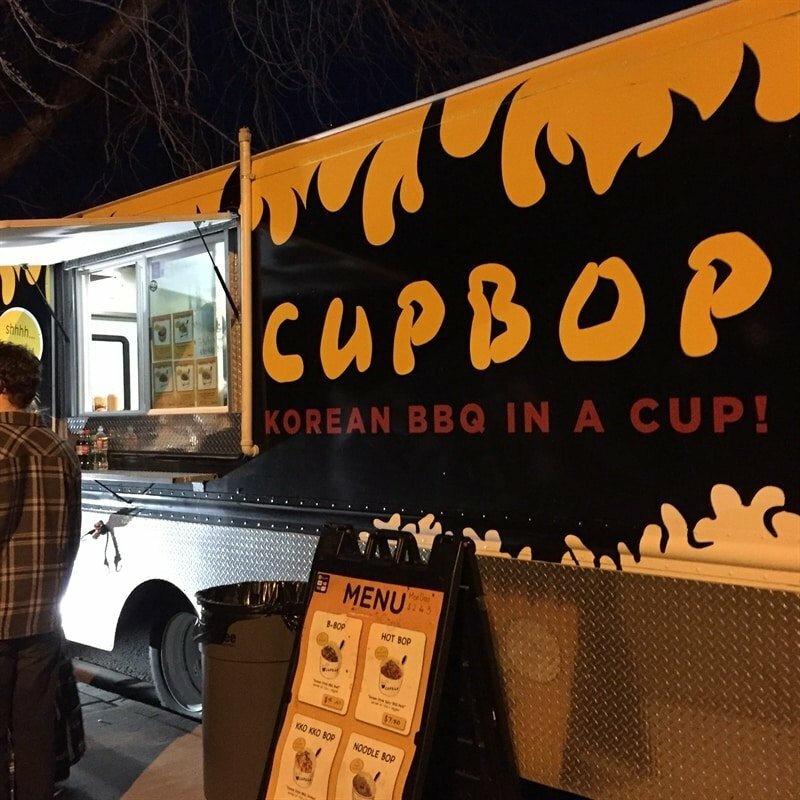 CupBop is Korean BBQ in Cup and it is delicious. You rate your desired hotness on a scale of 1-10. I went for a 3 and that was plenty hot for me. 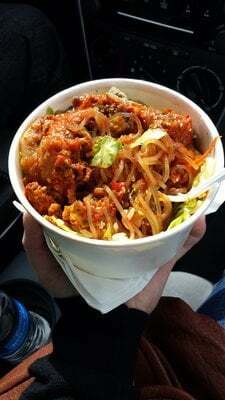 Cupbop serves Korean style BBQs (Beef, Pork, and Chicken) with rice, veggies, and noodles. They even have gluten free version. The best part is the yummy sauce they put on the top! It was too dark to get a good picture so I found this small one on Google. Can’t wait to have it again. Follow CupBob on Instagram. The other food cart that was a must visit was Art City Donuts. Oh man, are these things good. 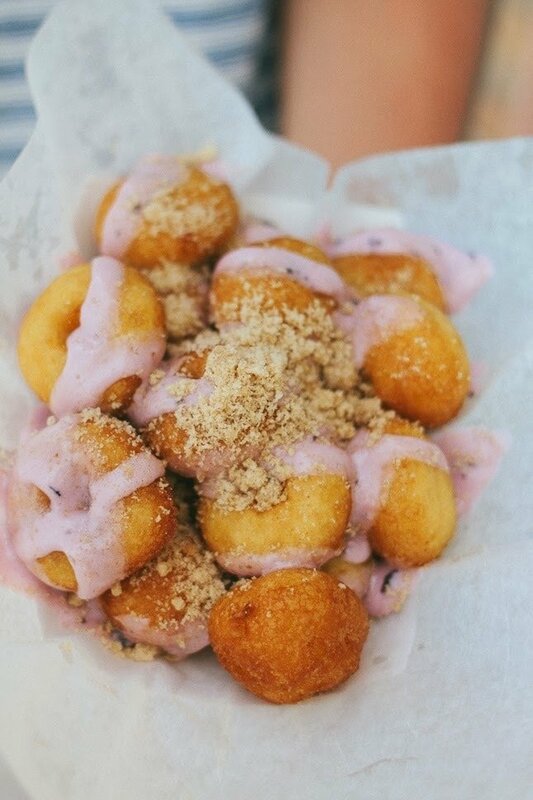 They are little tiny melt in your mouth donuts that they put different toppings on. They have different flavor specials each night. You can find out where they are going to be each day and what their flavors of the day are by following Art City Donuts on Instagram. These things literally melt in your mouth. 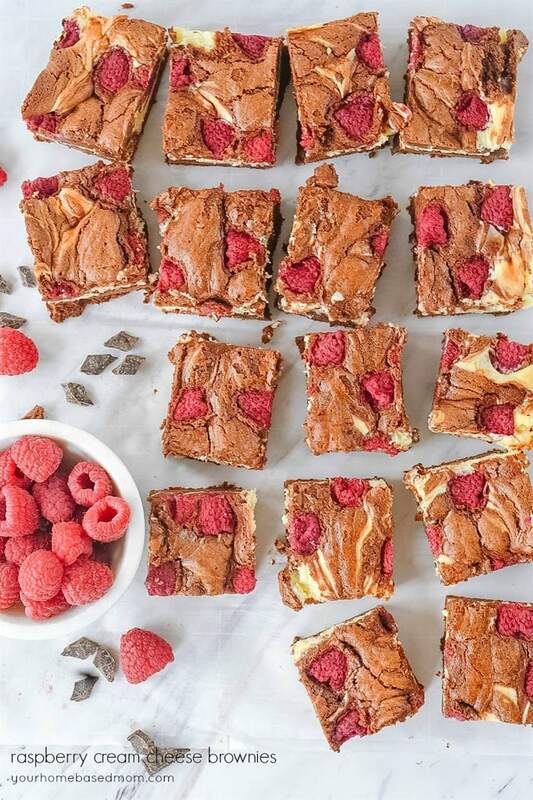 My favorite are the Cinnamon ones although these raspberry with crumble topping ones are pretty amazing too! I spend a lot of time driving up and down main street in Lehi, Utah when I am in Utah because the school Cali teaches at is just off Main Street. I love being able to help her with her upcoming productions and this visit we did a lot fabric shopping for costumes for her next production, The Little Mermaid. Every time I drive up or down Main Street I have noticed the Lehi Bakery. 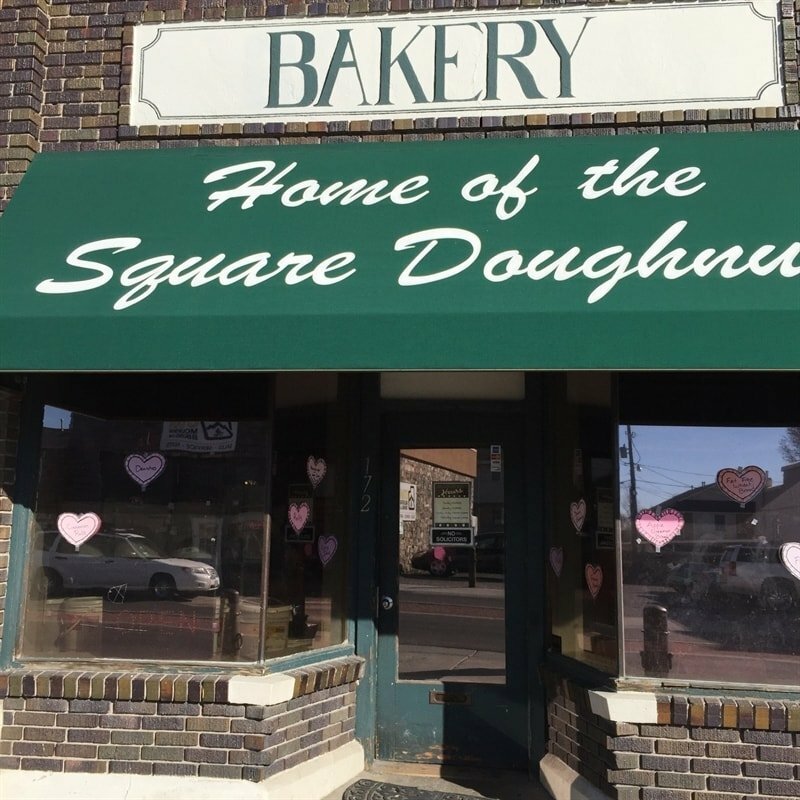 I am intrigued every time by their sign – Home of the Square Doughnuts! Well, this trip my curiosity got the best of me and I had to stop and check out the square donuts! They have a lot more than just square donuts. Of course I had to try the square donuts, which are basically just yummy raised donuts but instead of being round they are square. I picked up some of those and some other yummy choices too. Good thing I had some nieces and a nephew to share these with! It was definitely worth a stop. 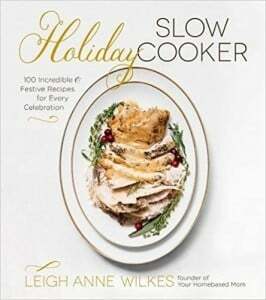 So, you are probably thinking that all Leigh Anne does while she is in Utah is eat! Well, you’re right. This last trip lasted 12 days so I had lots of days I needed to eat. 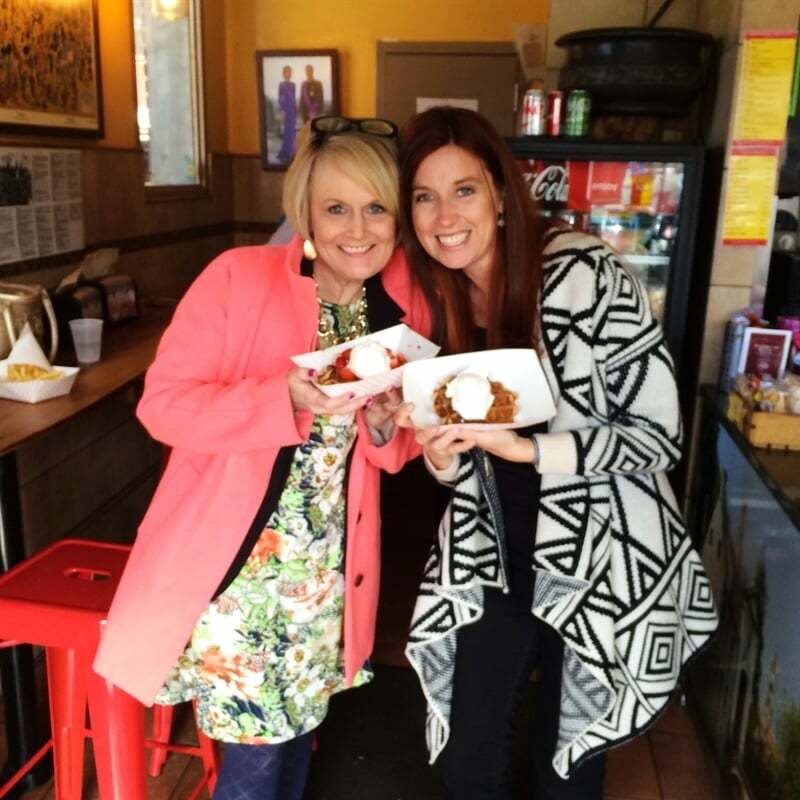 At the end of my stay I headed back up to Salt Lake City for a blogging conference and while there I went to lunch with my blogging friend Kristen Duke to Bruges Waffles & Frites. Bruges is a tiny little place near downtown. There is not a lot of room to eat inside but there is plenty of seating outside so go on a nice day! 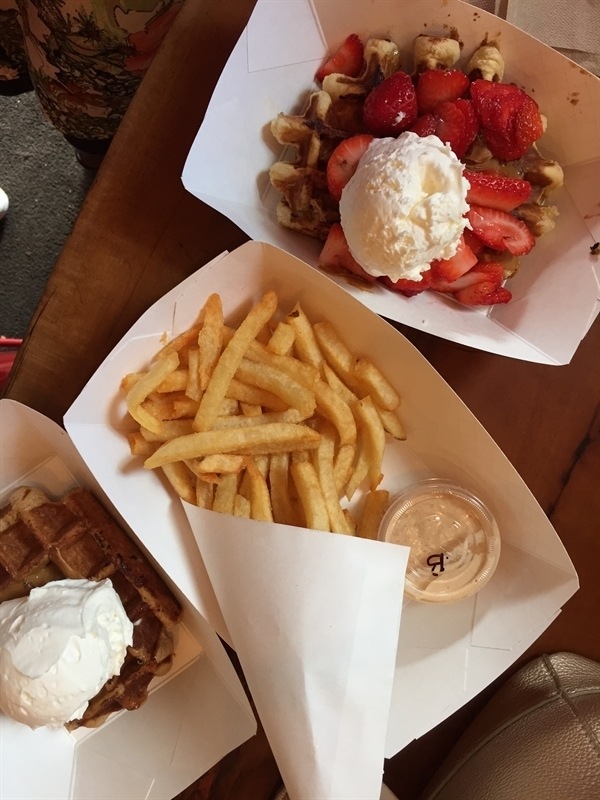 We each ordered a waffle and then shared some frites! They have lots of fun different dipping sauces to try. I think the one we got was the Brazlian?? I got my waffle covered in cookie butter, strawberries and cream. Well, that’s it for that trip. I’m headed to Utah again this weekend so I may find a few more places to check out!! 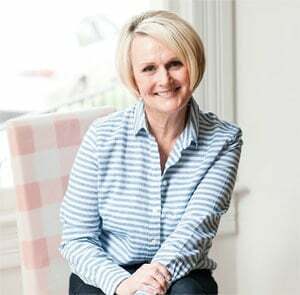 If you are from Provo/SLC area I’d love to hear any restaurant suggestions you have for me! 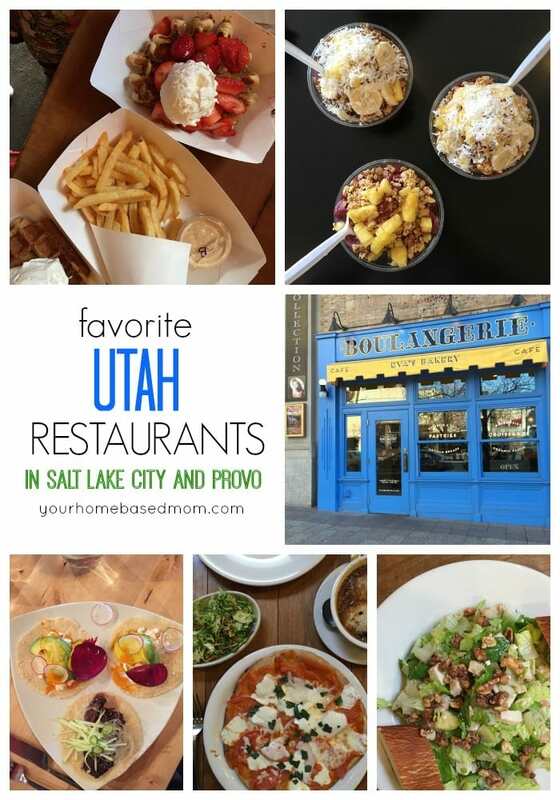 Oh man, I live in SLC and have looked at your blog daily for about 3 years now (never commented before) and I can’t wait to try some of these places! Sheesh, I’ve only heard of a few of them because I don’t get out much! Sounds like I need to suggest a lunch date with a couple of girlfriends. Thanks for the tips! You definitely need to try them. So yummy. Call those girlfriends! Thanks so much for reading the blog. have you tried moochies subs yet? 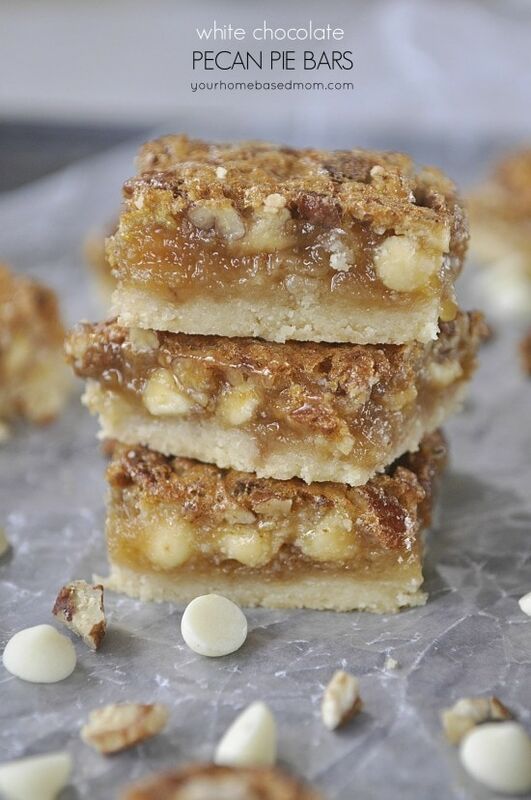 Or gourmandise? The bluebird cafe is also amazing, it looks a little sketch from the outside but it is so delicious. I have been to Gourmandise but not Moochies or Bluebird Cafe. Totally adding them to my list for my next trip. Thanks! 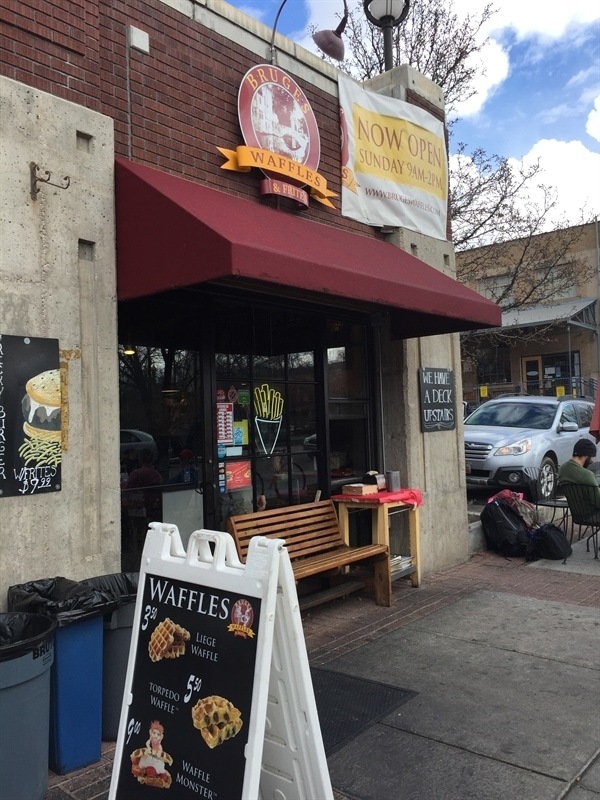 A few that I love in SLC are: Oh Mai (Vietnamese)–they have the best banh mi sandwiches ever, Valter’s Osteria (Italian), and Pago (farm to table). Adding to my list – thanks so much!!! Oh man. I’ve lived in Utah most of my life, and only ever been to one of these places! I need to get out more! If you like Thai food be sure to try Sawadee, it’s the best! Molly -thanks for the suggestion for Sawadee. My girls love Thai food. Will check it out on my next visit. i have been following you since I lived in provo going to school! Now I live in salt lake! So I loved all the fun suggestions! 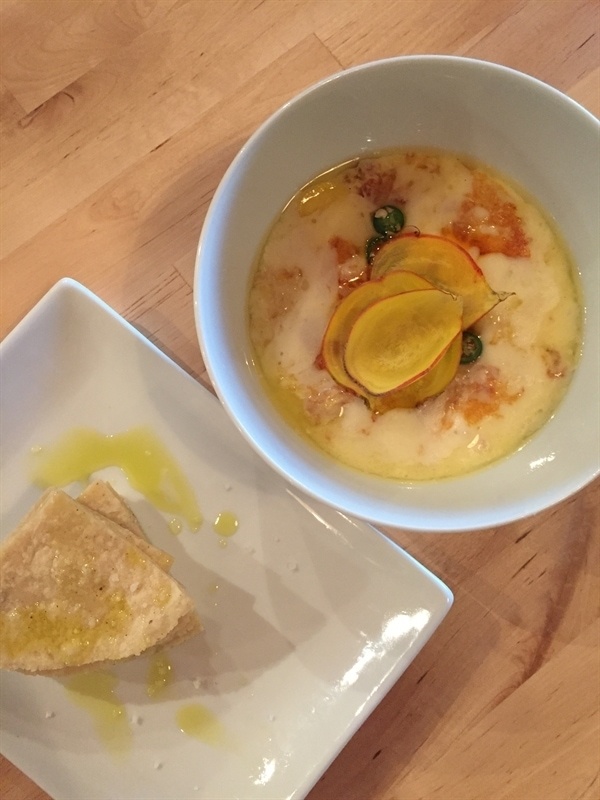 I recommend going to Vinto in downtown! So so yummy. The chicken caprese sandwich and butterscotch budino is so yummy! And chocolate gelato with sauce. 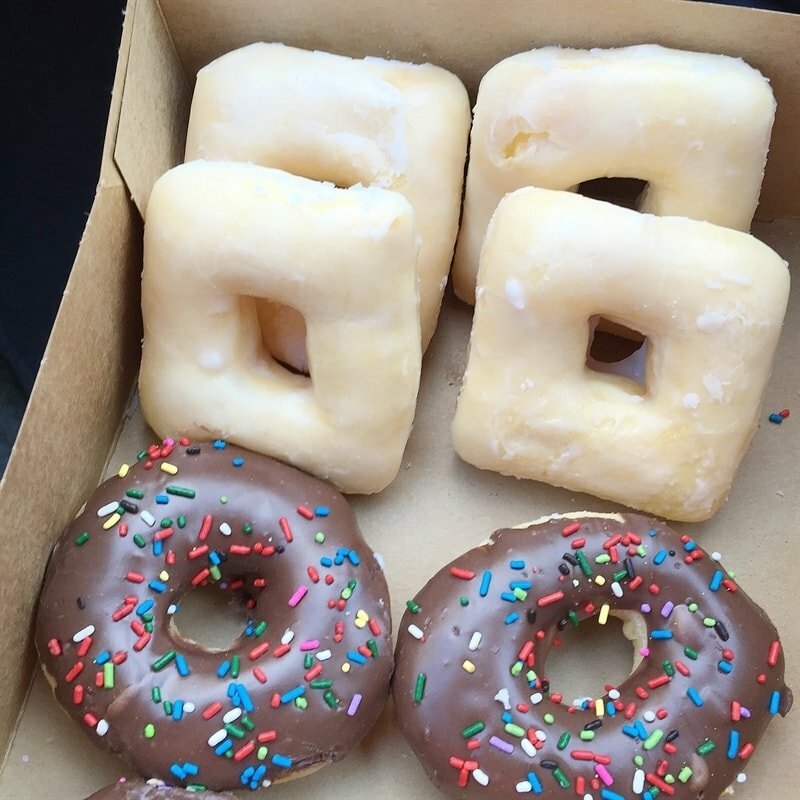 Oh and since it looks like you like doughnuts… Try Mrs. Backers! You will love the little shop and the packaging is very pretty too! Amy, Thanks for the suggestion – will add Vinto to my list and I think I better visit Mrs. Backers too!! Two of my favorite places here in Utah are run by twin sisters! Craving’s Bistro, and Craving’s Cupcakes in Pleasant Grove. The bistro features gourmet grilled cheese, and they’re WAY better than any other grilled cheese around! My favorites are the Monte Cristo and the Apple Bacon Cheddar. The cupcake shop has my favorite cupcakes (besides Georgetown Cupcake and homemade) that I’ve ever had. Their Caramel Popcorn, Coconut Tres Leches, and PGFD Red Velvet are my favorites, and their Maple Bacon (only available on weekends) is also fantastic. They were on Cupcake Wars and won the All-American Rejects episode. 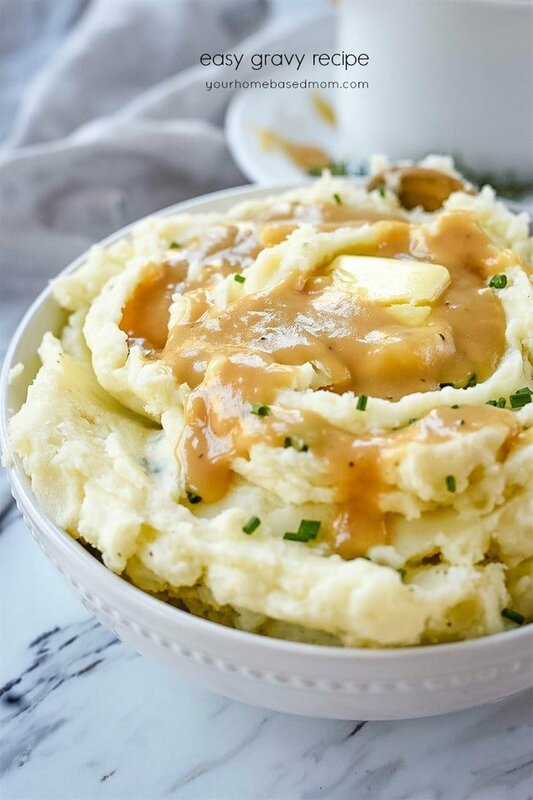 Both feature really great gluten free options, too! If they have it, their GF pumpkin chocolate chip cupcake is fantastic! Alora, Will add your suggestions to my list. 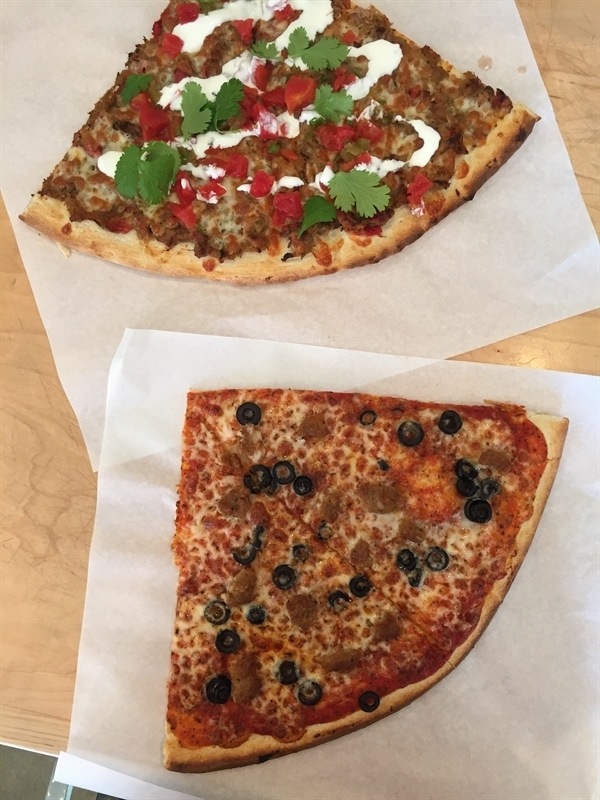 I have enjoyed Fiore Wood Fired Pizza Truck and it is yummy! My family and I recently moved to Utah, and I am so happy to hear your restaurant recommendations! We’ve been to some of the places you visited but not all. We will be going to all of them now! Where does your daughter teach in Lehi? 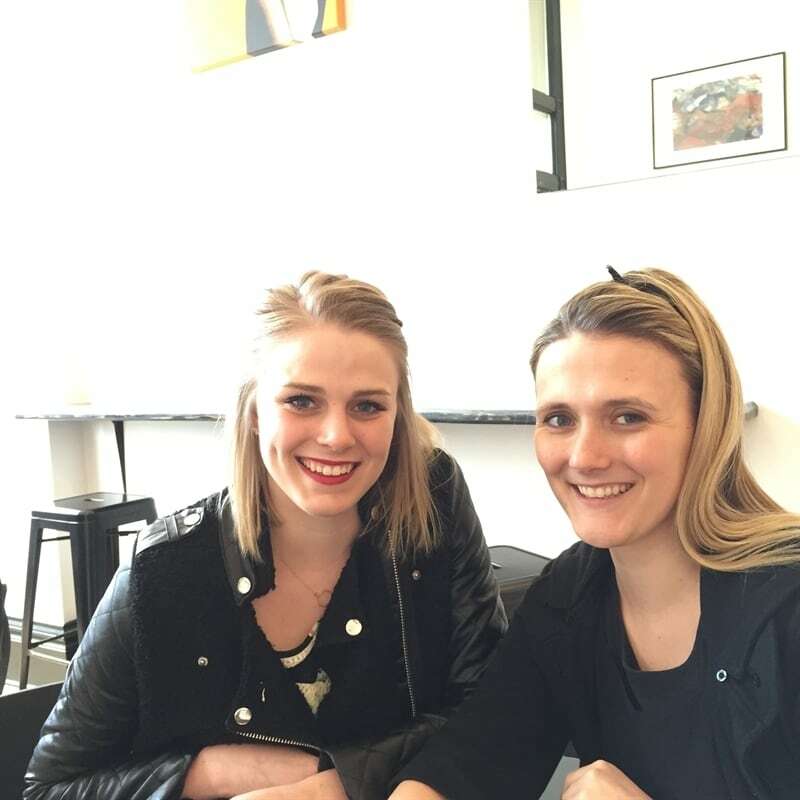 I teach German at BYU and work with local German teachers so I might know her school at least. We’re still finding our way around Utah county and Salt Lake City! My daughter is the drama teacher at Willow Creek Middle School. Have fun exploring the area! Oooh boy, We have lived in Orem two years now and have not eaten at any or the restaurants you have shared today. I love to look at where you have been eating. Love, love your pictures. Now we must go eat at each one. Thanks for all of the things you post. Gloria, Have fun checking them all out! Great suggestions, thanks. 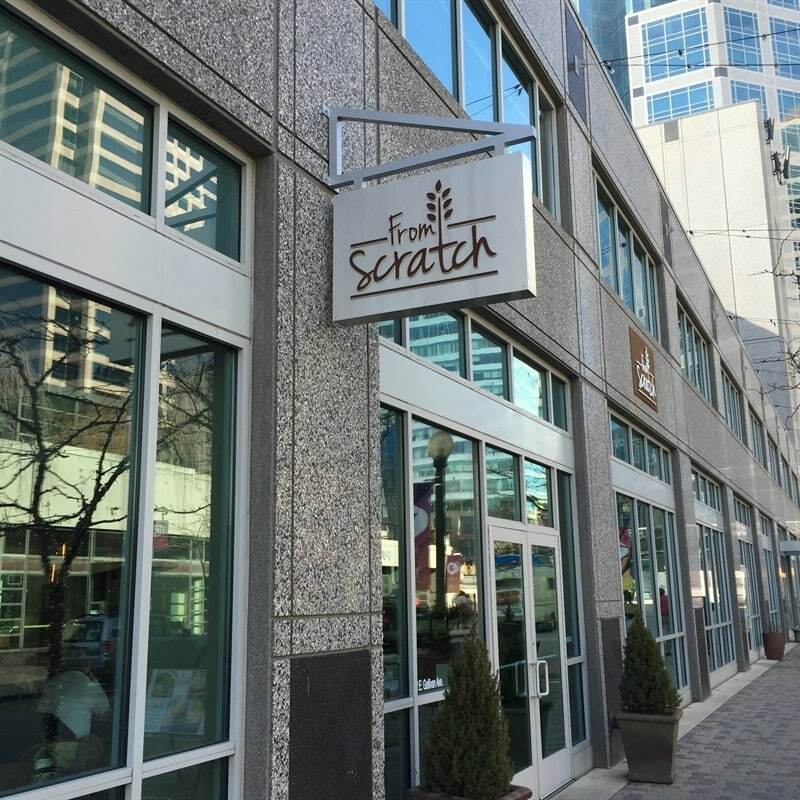 Glad you liked From Scratch–my nephew Adam Cold is the chef there. Cindy, We really enjoyed From Scratch. Great atmosphere and delicious food. Lucky you to have such a good chef in the family! Thanks for the great recommendations!! You have got to try Shirley’s in Provo if you haven’t had it before! Fabulous sweet rolls, rolls and sandwiches!! Yum! 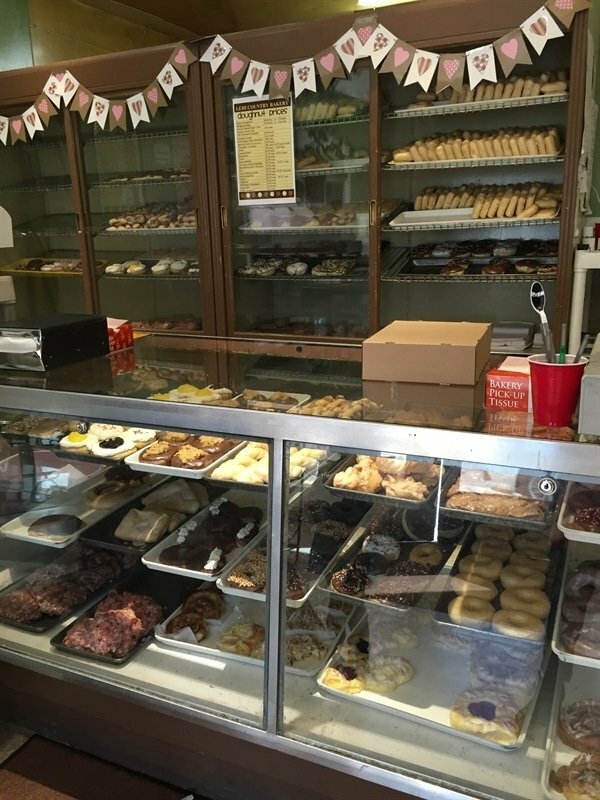 Brittany, I have enjoyed Shirley’s Cinnamon Rolls and they are amazing!! Came across your blog from Pinterest. 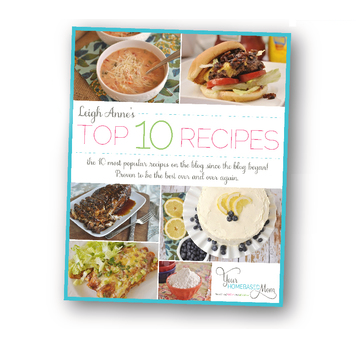 Love your choices – some I’ve been to (and agree are scrumptious!) and some I’m looking forward to trying. To add to your list: Takashi in SLC if you like sushi/Japanese food has the best sushi I’ve eaten since eating at the Tsukiji Market in Tokyo (and better than most places in L.A. where I used to live). Weird for landlocked Utah, I know, but it was incredible (and pretty expensive to match, but worth the splurge if you like raw fish). Their entrees and small plates are also incredible. Lines get long and they don’t take reservations, so get there around opening on a weeknight if you can help it. My husband loves Blue Plate Diner in SLC, where you apparently can’t go wrong with any menu item. 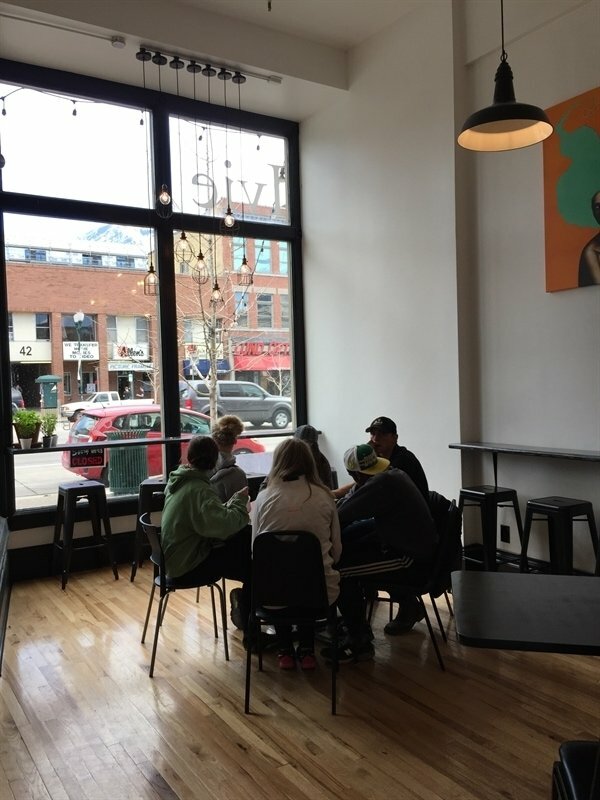 I haven’t been here yet, but Communal in Orem is on my short list of places to try. Based on the glowing reviews of my friends who have been there, though, it’s worth recommending without having first-hand experience. Enjoy! Maxine, Thanks so much for the recommendations. 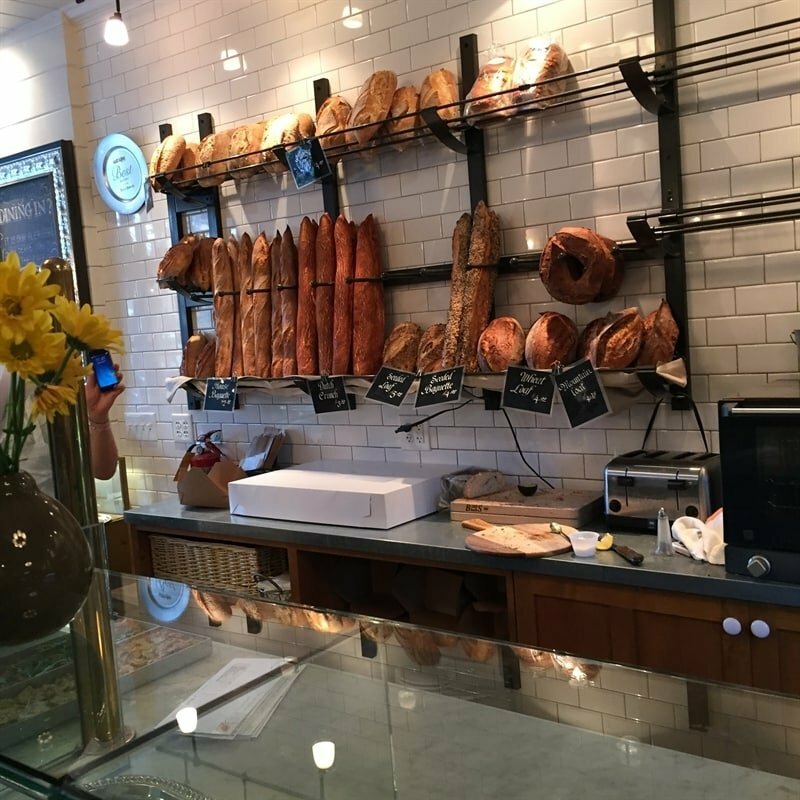 I love Communal – you definitely need to try it. It isn’t a restaurant, but the most divine cookies I have ever eaten come from RubySnap at 770 S 300 W Salt Lake City. 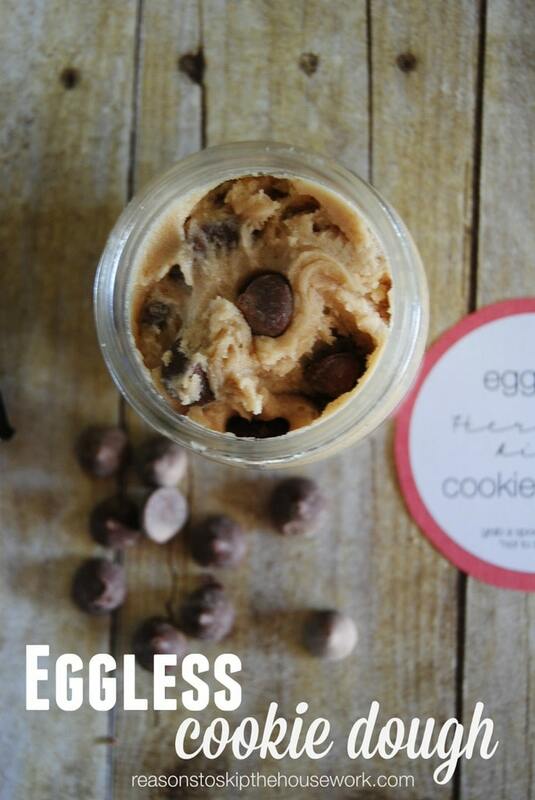 I never made it to Ruby Snap on my last visit but I bought some of their cookie dough at Harmons and it was divine!! Maybe I’ll make it to the store on my next trip. Ohhh . . . you’re making me a little homesick for Utah and all the yummy unique food choices. 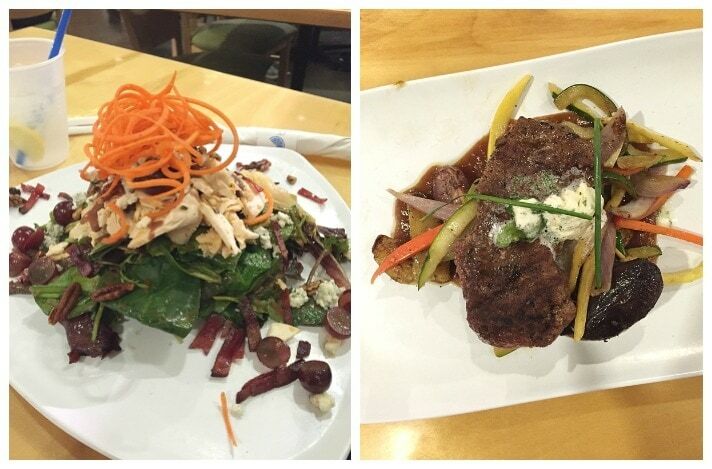 Blue Lemon in Highland is just a few minutes walk from my home . . . hope you’ll come again once I’m back in the States . . . . until then . . . Buen provecho . . . and bon appetite! A definite favorite is Bumble Bees (Korean fusion) – they’ve been rated top fries in Ut. Love their Kpop fries, Kimchi Rice Balls etc. 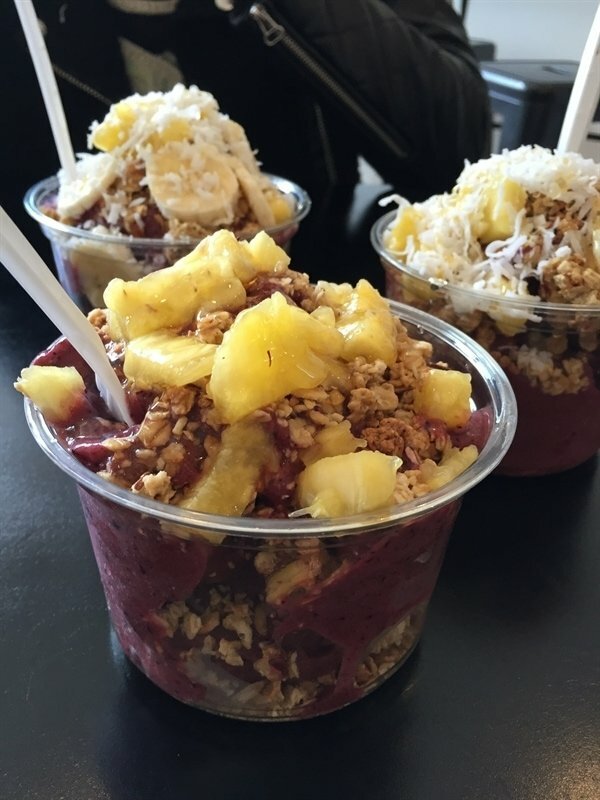 They’re located in Midvale, West Valley and recently opened a new location in Provo. So worth a visit.